As more and more people get into blogging, it�s become a Herculean task to attract readers. How do you compete with millions of other bloggers and develop an audience that consistently comes back to your blog? Here are some tips to get you going in the right direction. Before we get into actual traffic building tips, let�s start with how to make your blog worth reading. Before you start the umpteenth tech or gadget blog, you will need to really consider the odds of breaking into this already overcrowded niche. Try to find a segment of an industry that no one else covers, or at the very least, try to find a way to present your blog in a light that makes it stand out from everyone else�s on the same subject. Many people make the mistake of assuming that a popular blog is popular because of the subjects that are covered, and they try to create an exact clone. Blogs are popular not only for the information they present, but for the way it is presented. Whether it�s a smart-alecky blog, or a serious and in-depth blog, each blogger has their own writing style. The first point leads us to originality. If you�re not sure what your writing style is, don�t just copy the most popular blog you can find. Readers are savvy, and trying to pass over a poorly written clone will not work. Find your own voice, and don�t be afraid to be yourself. Let your personality shine through your words, whether you�re sarcastic or serious. On the same topic, when you�re looking for something to blog about, try to come up with original subjects. While it is tempting to see what someone else is blogging about and then re-blog about it, it creates a vicious cycle where only a few stories are discussed. Try to find something in the news, or something that is pertinent to your niche that has not been beaten to death. Thanks to templates that work on various blog platforms, it�s never been easier to completely customize your blog. Unfortunately, this can lead to overkill and a hideous reading experience. While you may think purple text on a black background is terrific, chances are, not many people will share your opinion. Try to go with a color scheme that will be pleasing to most people�s eyes. You want to encourage people to actually read your blog, not run away with bleeding eyes. In addition to actual colors, try to find a reader friendly layout that will encourage readers to stay on your blog. It�s best not to have any ads when you�re first starting out, but if you do have a few, keep them to a minimum and make sure they are unobtrusive. It�s important to pick a platform for your blog that you�ll be comfortable using.WordPress is a very popular choice, followed closely by Blogger. Both offer free versions, making it easy to get started. If you are really serious about blogging, it�s a good idea to purchase a domain name and set-up your own website. However you can set up your domain to forward to your free blog, if you are trying to cut costs. You�ll need to pick a domain name that is searchable and adequately describes what you will be talking about. 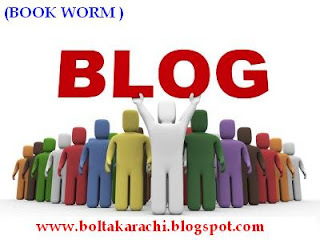 If you are not a well known personality, then it is probably not a good idea to use your own name as your blog�s url. For example, johndoe.com would not be as searchable as a name that incorporates what you�ll be discussing. Now that you have your fundamentals in order, it�s time to start building your audience. Here are some tips on how to build a good foundation that will help you increase your traffic. Once you begin your blog, you�ll need to find a schedule and then stick to it. If you don�t think you�ll be able to blog every day, try to set aside at least one day a week that can be devoted to your blog. Keep in mind however that blogs that are updated frequently are usually more highly trafficked. Consistency will help your audience rely on you for information, since they know it will always be published at a set time. While you may not be able to stick to your schedule all the time, make an effort to publish as frequently as you can. Try to focus your blog on interesting topics within your niche that other people will actually want to read. While you may be passionate about a specific subject, others may not share this interest. Try to find an angle to your posts that will interest a wide variety of people to ensure that your blog will appeal to a larger audience. This could mean covering hot or breaking news, or even in-depth looks at more obscure topics that are still interesting. Enabling the comments feature on your blog can encourage readers to interact with you and feel like their opinion counts for something. If you are nervous about flame wars or spam, set the comment feature so that you have to approve comments that are posted before they go live. Keep in mind though that an empty comment section is just as bad as not having the option to leave a comment. Try to gauge the amount of traffic your blog is getting and as it increases, add the ability for your readers to comment. Likewise, if you�re getting a lot of email, this is a sign that a comments section would be beneficial for your blog. Technorati tags have made otherwise unknown bloggers household names. Frequently check which tags are the most popular and incorporate them into your blog. However, don�t use tags that don�t apply, simply because they are popular. It�s a good idea to use at least three to five tags per post, but don�t overdo it or stuff your post with tags. Give your readers the opportunity to share your blog with others by incorporating a Digg This button, or other social bookmarking links. Most blogging platforms now have plugins to easily add these buttons to each of your posts, or you can always add them manually. Just don�t overdue it, pick a few of the biggest and stick with those. If no one is digging your posts, you can always Digg them on your own, but remember this important caveat: Interesting posts = Digg Success. Boring or spam posts = bad Digg experience. If you�re in doubt on whether your post is worth Digging, err on the side of caution. Do not make the mistake of submitting every one of your posts to Digg. If you submit every article you will get to be known as a spammer, and fewer people will Digg you. If you�re not familiar with basic SEO principles, they include using keywords wisely, writing effective post titles and utilizing meta tags when applicable. Try to avoid keyword stuffing in your posts, but you can incorporate a few when they fit. Post titles are an essential part of creating a searchable blog and they will help improve your search engine ranking. Be descriptive, but not overly so. For example, if you�re writing about the latest recalled tech gadget, you can try a splashy headline that will grab a reader�s attention and then pull them in with the rest of your post. Your post titles are the face that the world can see, so make sure they are as attractive as possible. Blogs that are filled with spelling and grammatical errors usually don�t make it to the cream of the crop level. If you don�t have a blogging utility with a spell checker, take the time to double check your work in your word processor. While you don�t have to write like an English teacher, it�s still a good idea to avoid rampant errors. This plays into the consistency angle mentioned above, but in a broader sense. If your readers know that they can rely on you for reporting on a specific angle, or digging up great dirt, they�ll keep coming back. A great example of someone who has built a reputation on her reliable reporting is Mary Jo Foley, who has been covering Microsoft for over a decade. People know they can rely on Mary Jo for all the latest news and dirt on Microsoft and they keep coming back for more. Even if your niche doesn�t have anything as exciting as corporate intrigue or breaking news, find a way to really get to the heart of the matter and make your subject interesting. Subscribe to several relevant RSS feeds and news notifications on your topic. When news happens, break it on your blog. This has the added advantage of making your blog more searchable and you�ll have a better chance of attracting an audience if you cover topics that are consistently on the cusp of what�s happening. It goes without saying that most avid blog readers expect their favorite blogs to have an RSS feed. Blogger and WordPress have this function built in, as do most other blogging platforms. If you aren�t currently using an RSS feed, now is the best time to start. Don�t forget to promote the feed in an easy to find location on your blog�s main page as well as within posts. Shorter blog postings are usually well received as opposed to long, drawn out dissertations. Keep your posts pithy and easy to read, unless your posting on a subject that requires a long commentary. In this event, it may be a good idea to split your posts into several entries to ensure that you�ll hold your reader�s attention. On the other hand, brief and inscrutable postings won�t get you very far either. Try to strike a balance between the two extremes. In the case of this article, we felt that longer copy makes sense. Primarily because of the timing, since this is one of our first posts, we want it to be very informative. Most of our posts will be much shorter. One of the smartest things you can do to build your audience is to promote yourself on other similar, but not competing, blogs. Pay another blogger a few bucks to write about you. You could probably build your readership for as little as $1 per. Now this isn�t going to be a good idea for everyone, but for professional bloggers looking to seriously grow, it could be the best way to get known. Once you�ve done the hard work of building up your audience, now is not the time to slack off. You�ll need to continue using the principles mentioned above, and you�ll need to incorporate a few more to ensure that your blog not only maintains its current popularity, but that it will continue to grow. There are hundreds of schemes that promise to get your blog on the front page of Digg, and the majority of them usually backfire. Now that you�ve built your audience using solid principles, don�t alienate them by trying to take advantage of gimmicky posts to increase your traffic. Wisely. If you read several blogs, or if you are commenting on another blog�s posting, don�t forget to use the Trackback Feature. This will help you attract new readers and establish a more searchable blog. Don�t abuse this feature though, or it will backfire. On the same token, if you frequently comment on other blogs or forums, include your blog�s url in your posting, but avoid coming off as a spammer. If you�ve found a great tool or a resource and you want to share it, don�t forget to blog about it. Make a list of sites you visit every day, or fun things that you�ve discovered. Lists always perform well and you�ll have a better chance of scoring a legitimate Digg success. Don�t make the mistake of viewing your audience as the great unwashed masses. Reach out to them and let them know that they do matter. This will build a level of trust and appreciation that will keep your word of mouth advertising and your repeat readers at an all time high. If you�re getting a lot of �Your blog is great, but�� comments, you may want to listen to their advice. The best blogs incorporate what their readers want to read, further perpetuating the principle mentioned above. While it�s a good idea to avoid the �trying to please all of the people all of the time� pitfall, your audience may actually have some very good suggestions that will make your blog even better. Thanks to search engines, readers may be coming in on a blog posting that�s over a year old. Keep this in mind when you write each post. If it�s not something that will stand the test of time, rewrite it. Find a way to incorporate information that will remain timeless, even if your posts are about breaking news. On the same token, stay on top of trends in your niche, and make sure that you�re covering topics that are going to interest your audience. If your blog is increasing in traffic and you find that you need either more space or a better server, you�ll need to make the transition as seamless as possible so that you don�t lose your audience. Make use of redirects, both for your feed and your site so that your audience won�t lose track of you. As your readership increases, you�ll be in a better position to land some really great interviews with leaders in your niche. Try to publish at least one every few months. This will help you attract new readers, particularly if the subject of the interview is in the news. Don�t let your blog get stale or boring. Keep your readers up to date on current trends and take advantage of them on your own blog. While this doesn�t mean changing your theme every two weeks, don�t overlook the possibility that your blog may need a sprucing up every now and then to overcome reader complacency. As your blog increases in popularity, it�s easy to let it go to your head, forgetting your roots and what gave you that popularity. Never alienate your core audience. The competition in the blogosphere is incredible and it�s never been easier for readers to get their information from someone else. Keep this in mind before flying off the handle or posting something you may regret next week. The most important thing to remember when trying to improve your blog�s traffic is that quality content is the most essential ingredient. It may take weeks, months, our years to build the next big thing, but once you get there, it�s definitely worth it. Have some patience and keep plugging away. It will pay off!